Quality is our primary goal when producing our CBD oils, we can guarantee that complete customer satisfaction is our prime objective when producing our powerful 10% CBD oils. That is why we go to great lengths to ensure the purity of each and every bottle, using CO2 extraction and advanced lab techniques to remove all of the impurities found in the hemp plant that can weaken the efficacy of this highly salutary dietary supplement. We use only pure organic hemp grown in the EU to ensure and maintain the highest of quality. Our oils contain the slightest traces of THC (around 0.002%) so that the oil is not psychoactive. However, we retain some other cannabinoids as we believe this improves the effectiveness of the CBD on the body. All of our oils are legal to purchase in most European countries, although you should check the legal status in your own country before purchasing. We maintains the utmost transparency throughout each step of the production phase of our quality CBD oils. We pride ourselves in our strict approach, adhering to each of the rules and regulations required. 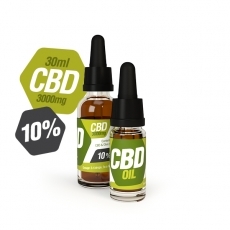 Zambeza 10% CBD oil has one of the highest concentrations of CBD available on the market. Each bottle also contains the rich spectrum of naturally available terpenes and aromatic compounds that can be found in hemp. We do not incorporate pure CBD crystals or "isolates" that can compromise quality for a quick and cheaply produced end-product. For this reason, our oils are some of the most aromatic and flavorful available. 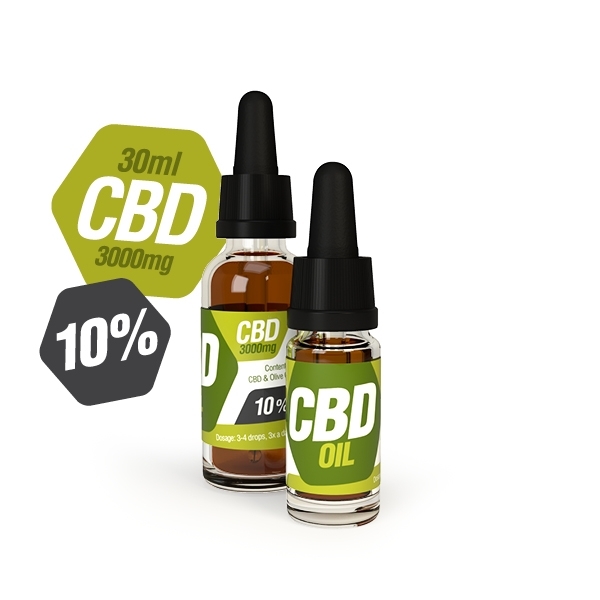 Zambeza 10% CBD oil uses convenient dropper bottles to assist with accurate, simple and discreet dosing. Being one of the strongest oils available to you, we would recommend sticking with a regimen of 3-4 drops, 3 times per day to begin with. You can easily consume by adding to meals, drink or simply dropping it under the tongue. Once you have become familiar with your intake, you can gradually adjust the dosage as you see fit. Since we never compromise quality at Zambeza, we do not use any preservatives in our liquids to increase the shelf life, as such our 10% CBD oil is best stored in a cool refrigerator in between uses.